Good morning everyone! Here we are, July 3rd and the festivities are going strong. Friday night we had barrel races, Saturday night was the rodeo and concert, tonight we have our fireworks and tomorrow is our parade and ice cream social! 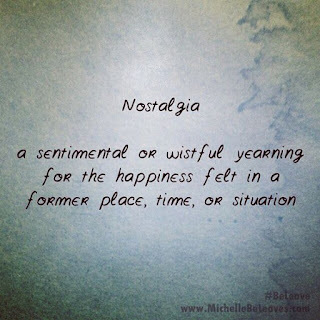 Totally NOSTALGIC! Our main street is Highway 299, which takes you to the coast and we shut it down for an hour or two for our parade...FUN...FUN...FUN! All but one of my kids are home...camping...hangin' with friends...hangin' with family and I'm enjoying every minute of it! This morning they are going kayaking so I'm gonna puppy sit, but first I wanted to share this weeks "Make-It Monday"! Score the 5 ½” x 8 ½” Whisper White card stock at 4 ¼” on the long edge. Fold on score line and burnish with a bone folder. Adhere the 4” x 5 ¼” piece of Crushed Curry card stock onto the front of the card base. Adhere the ribbon wrapped DSP piece on top of the Crushed Curry card stock. Next, adhere the Crushed Curry/White striped DSP strip to the front of card as shown. Stamp the “She Believed She Could” image onto a scrap of Thick Whisper White Card Stock with Archival Black Ink. Next, stamp the “…and so she did” sentiment below it as shown in the same ink. 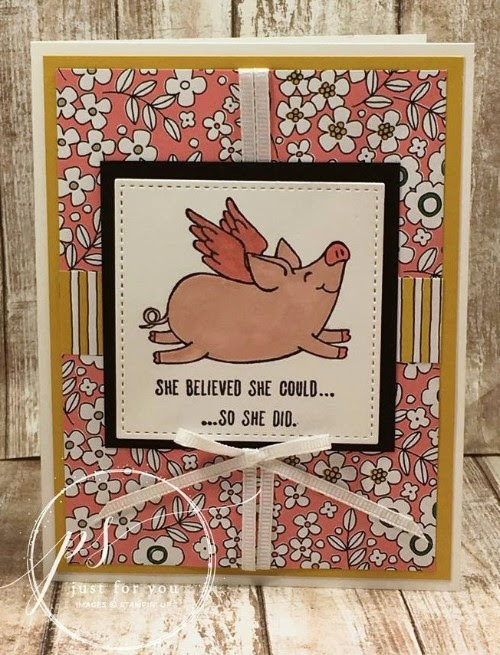 Color the pig body, legs and ears using the Powder Pink Stampin’ Marker. Color the wings, hooves and snout using the Flirty Flamingo Stampin’ Marker. Use the Clear Wink of Stella to go over the wings and make them sparkle. Using the largest square in the Stitched Shapes Framelits and the Big Shot, cut out the pig image. 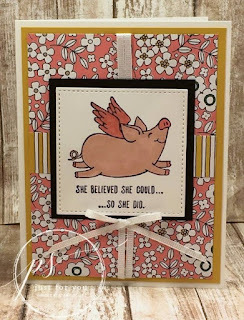 Adhere the pig image to the 3” x 3” Basic Black card stock square using Stampin’ Dimensionals. Adhere the layered pig image to the front of the card as shown. Tie a bow using the 1/8” Whisper White Sheer Ribbon and adhere it below the pig image using a Mini Glue Dot. Thanks BUNCHES for stopping by today! Have a FANTASTIC day! I hope your FESTIVITIES are FULL of FUN!! !